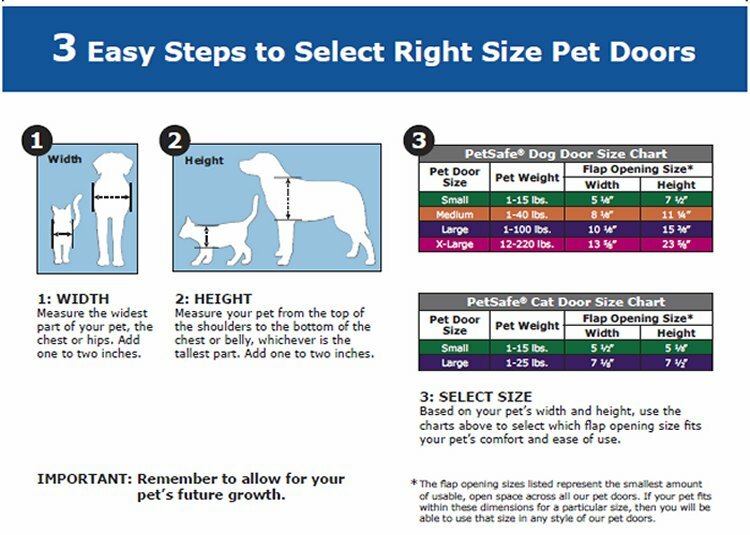 Let your cat pass through any interior door. 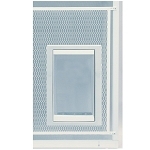 Installs quickly and easily and can fit almost any interior door. 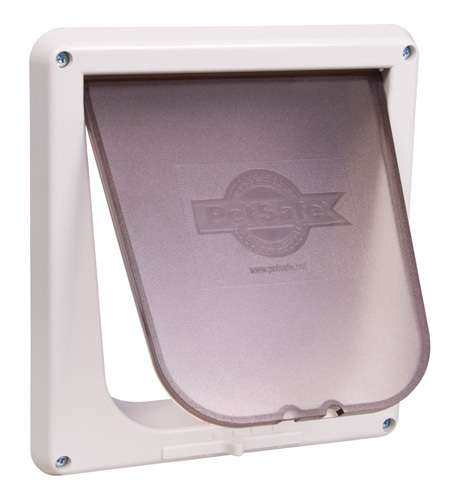 Give your cat access to her litter box without giving her litter box access to your home! 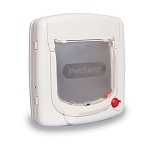 You can set it to open, locked, in only, and out only giving you ultimate control over the kind of access you want your cat to have. 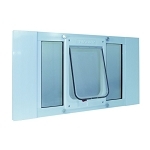 It's attractive but sturdy plastic frame will last the life of your house. Still in training mode with our cats. I believe will work. "We needed an opening in our greenhouse door, so we could feed several outside cats. We let them in, they come out by themselves as we have the lock at oneway, so their friends can't come in also. The door does not always close all the way when the cats leave, leaving an opening where an adventurous or hungry animal can get in. This is something we have been unable to solve. Otherwise we are quite happy with it." This cat door is okay if you don't have a lot to spend. I wouldn't recommend it for very cold climates though - the door doesn't seal tightly when closed, due to a 1/4 inch gap. I'm using it in a cellar window, leading to a screened "kitty porch". All of my 13 cats pass through it easily. 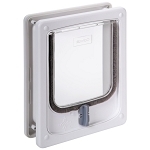 I chose this "cat flap" as a means to let the cat get in and out without having to keep the door open all the time. I couldn't be happier with this purchase. 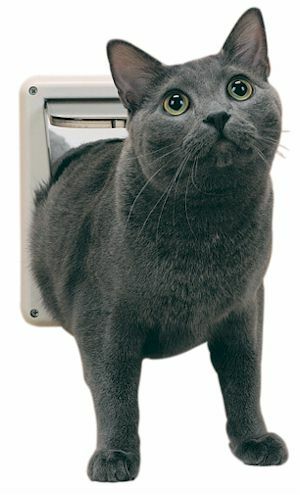 I had the cat flap installed in the door in under a half hour.